Bioracer Motion is the new standard in professional cycling analysis. this high-tech innovation is the only system in the world that simultaneously analyzes both sides of the cyclist. This provides a unique insight in one's cycling movement, symmetry and stability These insights are a prerequisite to create the perfect cycling movement to reach maximum performance and minimize the risk of overuse injuries. As the systems consists of two camera bars that our mounted on both sides of the cyclist, the cameras can capture both sides of the cyclist simultaneously. With the recorded data, a 3D reconstruction of the cyclist's movement on the bicycle can be constructed. By using infrared 3D technology, we are is able to track the cyclist from all points of view (side, top and back view). This 3D reconstruction provides the bike fitter with an accurate image of the cyclists's movement which will facilitate the decision-making process of the bike fitter. To conduct a bike fitting, 20 wireless active markers are placed on the cyclist's joints that are relevant for analysis of the bicycling movement (10 on each side of the body). 2 reference markers are placed on the bicycle that will serve as the middle line to evaluate the symmetry of the cyclist. Being wireless, the markers can easily be positioned on the cyclist's body. During cycling, the freedom of movement of the cyclist will not be compromised by wires. Moreover you can easily let your cyclist get off the bike to adjust bicycle components without risking that one of the markers will be torn off because the cyclist gets stuck in the wires. As the markers are active (they send the infrared signal directly to the cameras), the results of the measurement will not be compromised by reflections of the bicycle or other reflective objects being present in the room. During the measurement, 6 Optitrack V120 cameras will capture the movement of the cyclist at a speed of 120 frames per second. Thanks to the high frequency, we do not need to interpolate the data. At a pedaling rate of 90 rpm, this will result in one full measurement every 4,5° during the pedal stroke. The use of these high-speed cameras enables the bike fitter to analyse the movement pattern of the cyclist in slow motion up to 5 times slowed down. Moreover, the sub-millimeter precision of the cameras results in ultra-accurate reconstructions of the movement of the cyclist. The Bioracer Motion software offers a comprehensive and easy-to-use solution to bike fitters. It tracks the 20 markers on the cyclist's body with sub-millimeter precision and produces a 3D reconstruction of the cyclist's movement on the bike. Next to displaying 3D reconstruction of the movement of the entire body of the cyclist from side, back and upper view, the software also enables analysis of the specific joint movements. The bike fitter can zoom into 1 specific joint and study in detail its movement pattern and how the movement pattern of the left joint correlates with that of the right joint. The software also provide a wide array of relevant parameters, such as maximal and minimal angle of the joints, left-right deviation, ankle angle at 90°, KOPS, ... Together with the movement patterns, these data are the perfect platform to guide the expert bike fitter through his decision-making process. As our bike fit philosophy is all about symmetry and stability, the bike fit report consists of an overview table on the symmetry and stability of the different joints. For the symmetry, the average of the left and right corresponding joints is calculated and plotted against the middle line. In that way the deviation (0.01 cm) can be calculated. For the upper body, the stability is analysed by looking at the range of movement of a specific joint in all directions (cm³) . The closer to 0, the more stable that specific joint in the upper body is during the pedaling stroke. As the lower body has to move up and down and back and forward during the pedaling stroke, the stability of the joints of the lower body will only be analysed in the lateral plane. Left-right motion range will be provide for the individual joints (in cm). In order to properly do 3D measurements, a minimum space of 2.0m x 4.0 m (6.5 x 13 feet) is required. If the camera bars will be mounted against the wall (recommended), the distance between the two walls must be between 4m and 5m. Moreover, direct sunlight (in the direction of the cameras) must be completely blocked. The system should be preferable installed in a room without windows. If there are windows present in the room, they need to be covered completely with black curtains or other non-transparent materials. Cameras and tripods: 6 high-speed infra red cameras are mounted in two PMMA camera bars. These cameras capture 120 frames per second and have an accuracy of less than 1 mm. The cameras must be calibrated to obtain flawless data. Cameras bars can be installed on the tripods (included in the system) but preferable they are mounted against the walls. Markers: 20 wireless markers are attached to the cyclist's body. Two additional markers are placed on the bike to mark the midline. when empty, the 24 markers (2 spare ones) can be placed in the charger box to recharge. The charger box is included in the system. Velcros: 1000 velcro patches in the same size as the markers are included in the system. The Velcros ensure easy attachment of the markers on the body. USB leads and extension cables: to ensure optimal data transmission between the cameras and the desktop, tested, high-quality USB leads are included in the system. Pre-installed desktop: to ensure a clean computer environment and to prevent issues with incompatible hardware, a pre-installed PC is included with the system. Around 2010, three heads, full of frustrations about the lack of objective analysis tools for bike fitting and ideas how to fill this gap, came together. 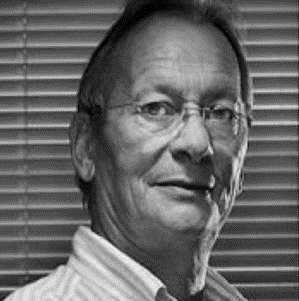 Raymond Vanstraelen, founder and CEO of Bioracer was doing bike fittings for over 30 years. Being one of the most experienced bike fitters in the world, he mainly used his trained eye to conduct his bike fittings. He helped over 10.000 professional and amateur cyclists to improve their biomechanical and aerodynamic position on the bike. Next to adaptation on the bike he also made customized heat-molded insoles to improve the rider's stability and symmetry during cycling. Although he was convinced his interventions were going to improve the efficiency of the rider (which was also confirmed by the results of the riders), he often got frustrated that he couldn't give the riders any objective data to proof his bike fitting concepts. At that point he got in touch with Dr. Pieter Mertens, a general and sports doctor and former Pro World Tour rider. Although he could look back on a successful cycling career, during his time in the peloton he struggled to optimize his cycling position. Just as Raymond, he was disappointed by the lack of scientific bike fitting knowledge. Sharing those thoughts and frustrations, very soon they started brainstorming on how their complementary experience and knowledge could merge to find a solution for this problem. Both being passionate as they are, the brainstorming quickly became more serious. They realized that the solution to their problem would involve 3D movement analysis and Jeroen Dierckx, a software engineer specialized in motion capturing, was involved in their ambitious project. Not willing to compromise on the quality of the product, they did not leave one stone unturned, which was often accompanied with heavy discussions, disappointments and facing new obstacles with every step forward in the process. Nevertheless, their hard effort and determination paid off and together they developed a 3D motion capturing system for bike fitting using ultra-accurate high-speed cameras and wireless active markers. The system measures both sides of the rider simultaneously. During those first years, Sven Van Den Houte, a former pro rider, joined the team as bike fitter. His main task is in-depth testing of the system, in order to provide feedback to the developers to turn the system into a functional, user-friendly platform for every expert bike fitter. 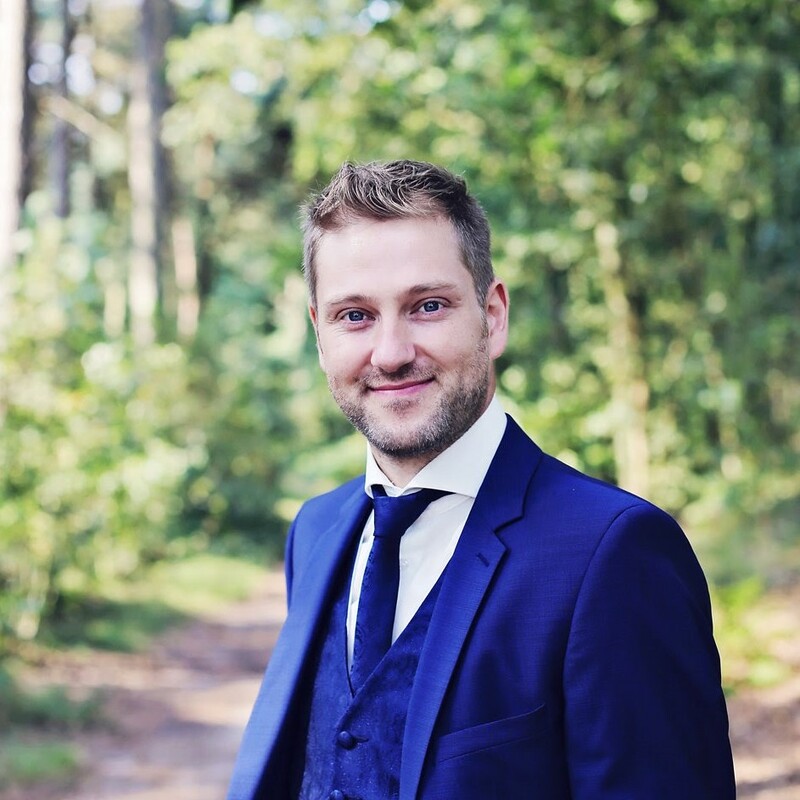 Mid 2017 we decided to take in Jon Wiggins to boost our sales and support. As a 3* olympic trainer, sports scientist and author of "In Pursuit of A Powerful Performance" he is a great addition to our passionate team. The latest addition to the team is Jarich Braeckevelt, who has to take a scientific approach to the data we gather. As an engineer/data scientist, he obtained a PhD funding from VLAIO to increase our research budget. Constructing testing scenarios is one of his tasks but the main goal is to take a data-driven approach to bikefitting by using novel machine learning techniques. As we believe that every bike fitter has his own principles and method of working, we want, by no means, tell a bike fitter how he must conduct his bike fitting. Whether a bike fitter wants to work with shims, wedges, or just concentrate on the saddle height and setback, whether he believes crank length must be optimized to obtain an ideal position, whether he likes to work with customized insoles,... that's all up to him. The Bioracer Motion system is not a bike-fitter-in-a-box and it will never be. It is a platform. A platform that a bike fitter can use to test and analyse whether the adjustments that he made to the bicycle, the rider or his shoes, result in an optimization of his position. We offer a wide range of angles, distances and movement patterns of the different joints that are important in the cycling movement. The bike fitter can also check in detail, and if necessary in slow motion, the 3D reconstruction of the cyclist's movement on the bike. It is also possible to zoom into the individual joints and analyse the tracing during the pedaling stroke. But that's not all... cycling efficiency goes hand-in-hand with symmetry and stability. When analysing a cycling movement, there are two things that catches the eye: it is highly repetitive (cycling at 90 rmp during a 4-hour cycling tour, leads to 21.600 repetitions of the same circular movement... for just 1 training) and it is an imposed movement. 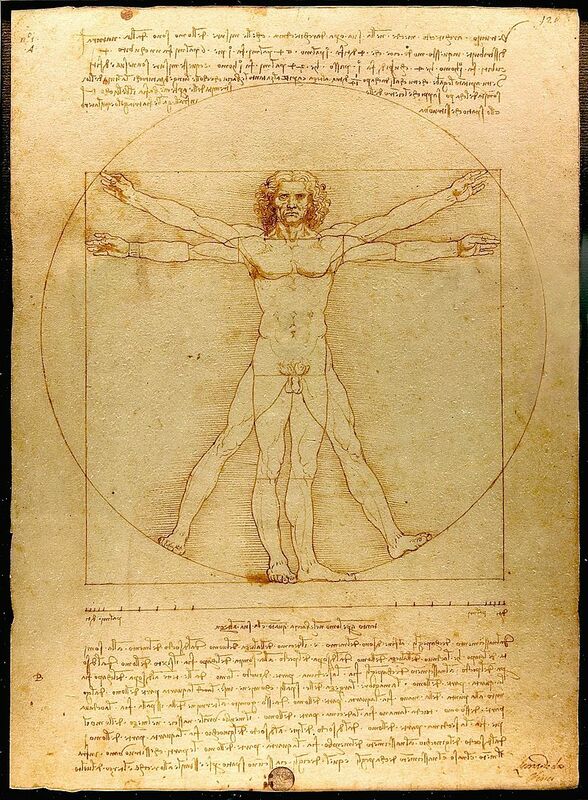 By imposed movement, we mean that the body cannot choose how to move. It is the bike, and more specifically the pedals in combination with the saddle and the handlebars, that imposes the movement on the legs (and the rest of the body). These two characteristics of cycling explain the importance of a symmetrical, stable cycling movement pattern. Hence, being repetitive and imposed, every small asymmetrical movement pattern will lead to friction in the body and hence to soreness and injury after a certain period. When cycling asymmetrically, it is not the question if an injury will develop but when it will arise. Unstable movements on the other hand imply that unnecessary movements are involved (for example, there is no need for the knee to move lateral during the pedaling stroke). These movements obviously also require muscle activity. As this muscle activity is completely redundant and unnecessary for gaining speed, the efficiency of the transaction from muscle work to cycling speed during pedaling is compromised by these unstable movements. The key philosophy of the Bioracer Motion system is to help bike fitters in improving efficiency and comfort of cyclists by improving their stability and symmetry. During half a day the theoretical background of 3D bike fitting will be covered by experienced, qualified bike fit instructors and sport doctors. The course will cover the history and objectives of bike fitting. The cycling specific anatomy as well as the typical cycling injuries will be addressed by the sport doctor. 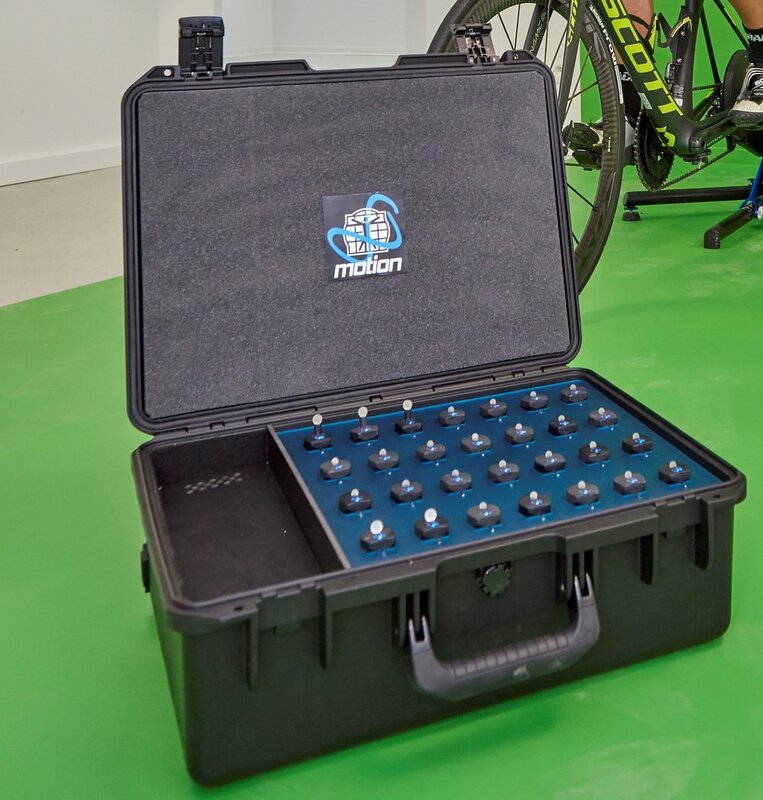 After introduction to the Bioracer Motion 3D system and its use, the bike fitter will address several aspects of bike fitting via case studies with Bioracer Motion output data. During this interactive course, the experienced, qualified bike fit instructors will immerse you in the world of 3D bike fitting. The different bike fit adjustments and interventions will be addressed with live demonstration, tips and tricks, and tryouts. You will also learn to produce customized heat-molded cycling insoles to enhance the stabilization of the foot on the pedal. After the demonstration of the different techniques it is up to you to optimize the cyclists position using the Bioracer Motion system under supervision of the bike fitter. During lunch we organize a brainstorm session were we discuss the effectiveness of bike fit principles and how to avoid pitfalls in bike fitting. Become an aero consulent with this Aerodynamics course. During the theoretical session, the position of aerodynamics in bike fitting will be explained. You will learn in-depth knowledge on how aerodynamics influence cycling, how the different aspects of aerodynamics can be distinguished and what part they play in the bigger pictures. The different measurement techniques will be discussed in detail, including the working mechanism of the Bioracer Aero tool (bioraceraero.com). You will learn how you can optimise the position of the cyclist to decrease his aerodynamic drag. After the theoretical part, we will test the new insights with a practical session on the Bioracer Aero system. You can check for yourself how changes in posture result in lower frontal aero and in reduced power needed to overcome the aerodynamic drag. With the Bike Valley low speed cycling wind tunnel within 3 km from the Bioracer Head Quarters, there is the possibility to plan a visit to the wind tunnel after the course. Combine the Prologue, the Mountain stage and the Time trial in the Grand Tour course. In 2 days you will gain theoretical insights and practical skills on all the aspects of bike fitting. From basic anatomy to in depth knowledge on aerodynamic drag, from the production of personalized heat-molded insoles to the adjustments of the saddle setback: this course covers the entire field of bike fitting. The course is given by experienced, qualified bike fitters, aerodynamics experts and sport doctors. After the course, an official Bioracer Motion Academy 3D bike fittter certification will be awarded to the attendees.